Genre: Will you write a poem about trains? Stand-up comedy? No, you decide to write a novel … more specifically, a sci-fi novel. Story: What’s the plot? Who are the characters? What are the relationships between the characters? 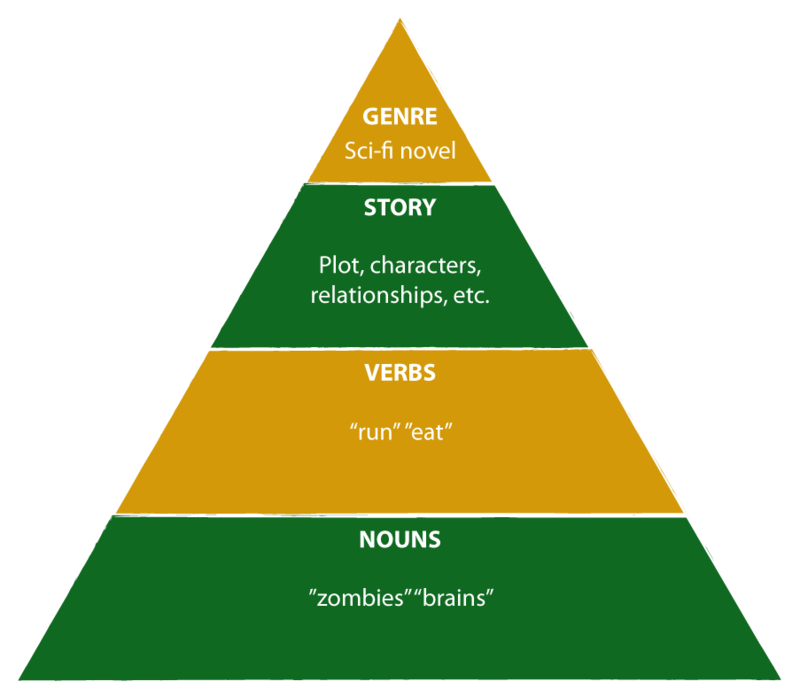 Nouns: You also need objects and events, such as zombies and brains and chase scenes. After choosing your elements, you write a sci-fi novel that involves the Turner family, taking a routine train from Chicago to the moon. Unfortunately, it turns out the train is infested with zombies who want to eat their brains, so the Turners spend most of the trip running from zombies. Elements like these make up the palette that game designers choose from in the art of creating games. The key takeaway for leaders considering gamification as a strategy for engaging people is to start the planning process with the big picture at the top of the pyramid and work your way down. Experience (and to a lesser extent, aesthetics) determine the emotions that people feel and the thought processes that are triggered. Narrative ties all the other components into a cohesive whole that aligns with an overall purpose. Without it, people won’t care about getting a badge or seeing who’s on a social graph; or at best, they’ll take short-term actions to get the badge, but you’ll miss your bigger business objectives. Constraints are a necessary part of every game. Rules make a game interesting; without them, it’s just unstructured play. Progression gives people a sense of getting somewhere or improving. If people don’t have an opportunity for progress, they will soon disengage, as most people do after playing one or two rounds of tic-tac-toe with a friend. 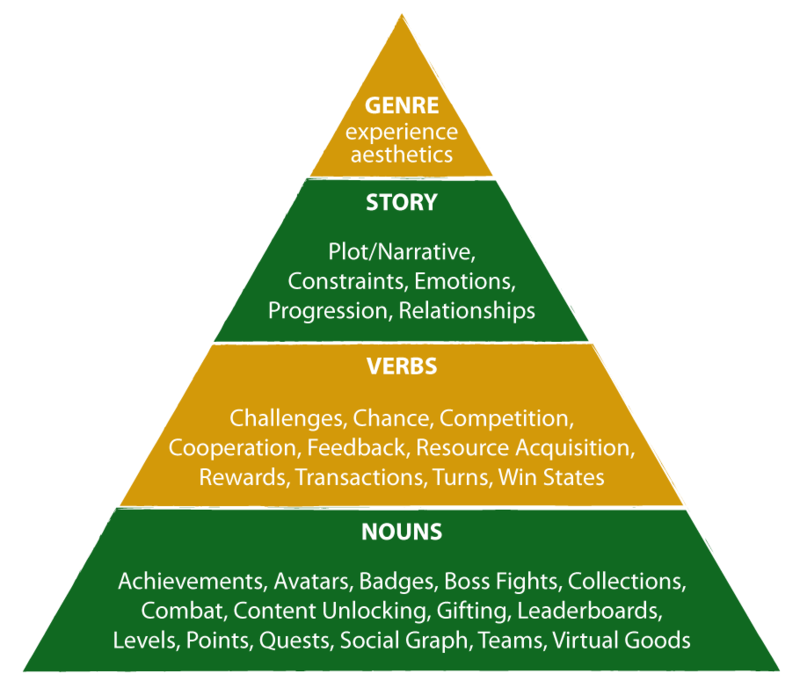 Kevin Werbach: Most of this story pyramid is based directly on Werbach’s Pyramid of Elements, with some modifications.